Beverly Hills, CA — The Caucus for Producers, Writers & Directors is proud to announce their Special Award Honorees and Nominations for the 36th Annual Caucus Awards Dinner that will be held on Friday, November 30, 2018, 6:30 PMat the Skirball Cultural Center, 2701 N. Sepulveda Blvd, Los Angeles, CA 90049. 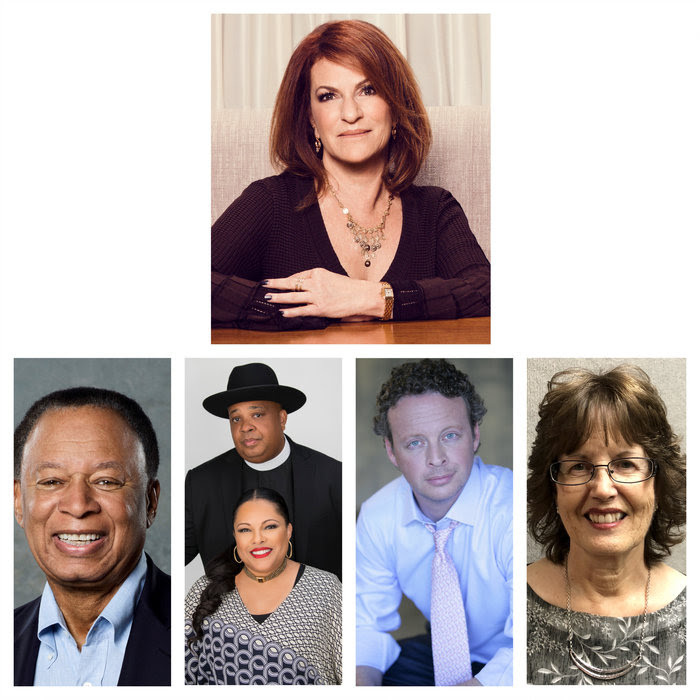 This years’ Caucus Award Honorees; Sandra Stern, President, Lionsgate Television Group will be presented the Executive of the Year Award, Chas. Floyd Johnson, Executive Producer, CBS’s NCIS series, the Caucus Lifetime Achievement Award, Jake Rademacher, Director & Producer, award-winning Brothers at War film with the Distinguished Service Award, Joseph “Rev Run” of RUN-DMC Simmons, Actor, Musician, Hip-hop Artist and Justine Simmons, actress, with the Entertainers of the Year Award, and Penny Rieger, Caucus Controller and Foundation Administrator with the Chair’s Award. James Pickens, Jr. star of ABC’s Grey’s Anatomy, will be your co-host for this wonderful evening. Each year The Caucus honors outstanding creative television and new media talent at their Annual Awards Dinner. Awards are presented to outstanding individuals and three winners of the Caucus Honors from the list of nominees. The Caucus Foundation’s student Gold Circle Award is presented to two grant recipients for their 2017/18 student films. In promoting the upcoming generation of television and new media content creators, The Caucus will also present the Television and New Media Award to a university’s creative team for an exceptional project. The Caucus Awards committee members are; Executive Producer/Awards Chair Chuck Fries along with Co-chairs Robert Papazianand Tanya Hart, Producers/Awards Vice Chairs Dennis Doty and Vin Di Bona. A portion of the proceeds from the dinner will benefit The Caucus Foundation, which has provided grants and awards of $1.8 million to 172 worthy students to complete their film, television or new media projects. Writers and Directors to explore the issues of the ever-changing landscape of content and exhibition. The Caucus is proud of its rich history and esteemed membership of television innovators. For over 40 years, The Caucus has provided an opportunity for the best and the brightest talent to network and voice the ‘creative conscience’ of the Television Industry. Today, we continue to stand for better and meaningful content across all platforms. As Producers, Writers and Directors we support a working environment that fosters, through our various programs, the best content that we can create for our audiences. In addition to its professional membership, The Caucus is proud of its non-profit work through The Caucus Foundation. Established in 2000 to help launch the careers of future entertainment professionals in film, television and emerging media; The Foundation provides completion grants to student thesis productions from accredited universities and colleges. To date The Caucus Foundation Grant Program has given over $1.8 million dollars in cash and in-kind awards. For ticket information and sponsorships opportunities, please contact Allison Jackson at caucus@allisonjacksonco.com or call 310.550.7719.